Gridlife South is a one of a kind event. 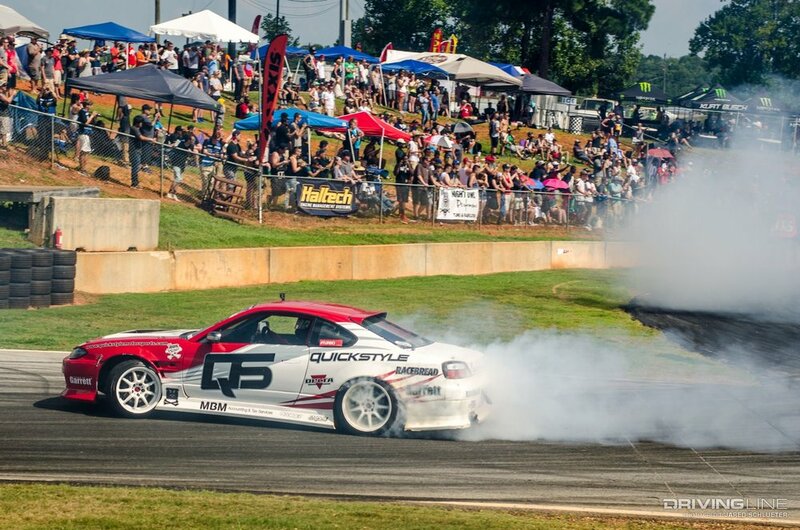 Much like its Midwest festival counterpart, South festival shares a friendly atmosphere for both automotive enthusiasts, drift fans and concert goers alike. For the Mechanical Advantage Team this event set itself apart from others- where previously Road Atlanta defeated the Slumdog. In 2016, Mechanical Advantage made their way out to see what the festival as well as what the track had to offer, only to be cut down by issues relating to the dry sump system. Unknowingly, the scavenge and suction lines of the dry sump were ill prepared to handle the mighty Dailey Engineering oil pump and collapsed during several hotlaps. The result of this was complete loss of oil pressure, which lead to the engine being torn down and sent to the machine shop after the event to be overhauled with larger pistons and a line bore for 2017. 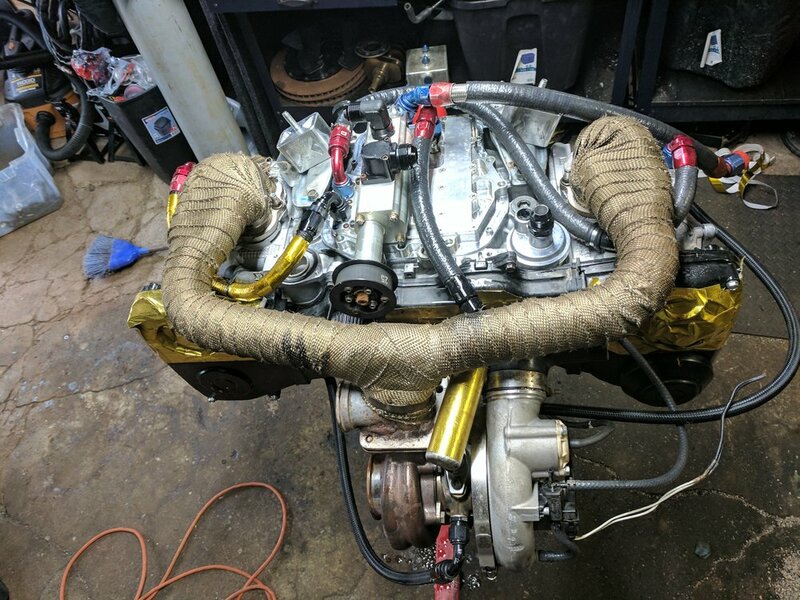 Fast forward to 2 weeks before Gridlife round 4 Road Atlanta, and the engine had finally been finished machined it was ready to finally be built. Mechanical Advantage assembled and blue printed the short block in combination with ARP625+ headstuds and cometic gaskets mated to a custom set of ASF build cylinder heads. The engine is fed with an EFR9180 turbo charger, ID2000 injectors, triple AEM Inline fuel pumps and filter, Forsa Intake manifold and custom header produced 714whp and 620 ft-lbs of torque. The car could finally run at a truly competitive level! To match the new power and try to be more competitive; several other countermeasures were done on the car to take its performance up a notch. First was weight reduction in the form of a carbon fiber roof- compliments of JR Barrios. Also added were front 05 sti hub conversions to mitigate wheel bearing issues previously encountered on the 04 Sti hubs. To finish off the car we aimed to increase the aero functionality on the car as well by fabricating a flatbottom undertray, as well as leave the Nexen Sur4 street tires and go to the Federal fz201 semi slick racing tires. With the changes in mind, the goal was to go to Road Atlanta and improve from the nightmare time from 2016 of a 1:48 and take the car into a 1:29 or faster. Sadly throughout the weekend Road Atlanta proved to be the adversary to the Slumdog. With all of the new modifications the amount of grip was phenomenal, but caused a new slew of issues. The suspension mounting points between the hubs and struts could no longer take the cornering loads and began moving during hotlaps. The problem was discovered at the end of the first day as we began to ramp up the car from our low boost to high boost maps when we started in on the 1:39 lap times. It was noted that the alignment was no longer true to what was prepped before the race, and was blamed on improper strapping of the car in the trailer on its way down to the race. Saturday morning with the help of our neighbor drift crew, the car was re-aligned. After only one session out the alignment was out once again. 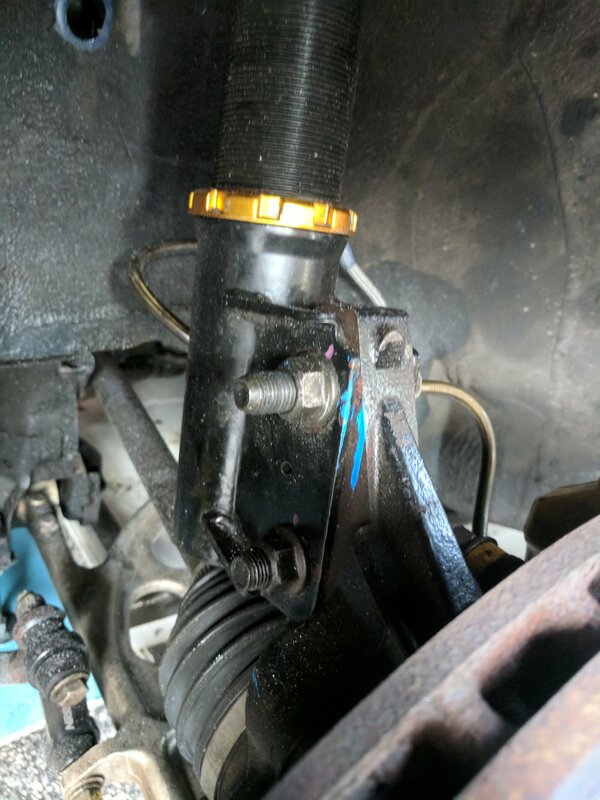 To diagnose the problem, it was aligned yet again, and paint marked at the hub to show where the strut placement was once the two were bolted together to see if this was the problem area. One more session out and boom! It was out of alignment again, and the paint markings no longer lined up. This movement caused drastic camber change from the beginning to the end of the sessions. On our worst session the front tires changed from 3 degrees negative camber to 2 degrees positive camber and in turn messing with the tow as well. The car was nearly un-drivable at this rate, so a new game plan was formulated to see if the car could do what we thought it could: Weld the strut itself to the hub to restrain the movement between the two. The solution was crude, but it was the only option and could easily be undone with an angle grinder once we got home and be fixed properly. After discussions with Tom O’Gorman earlier in the weekend, he graciously offered to go behind the wheel to give us feedback on the setup to let us know if anything could be optimized further and give us lapping data for our own driver development. On his first lap out he ran a 1:37 and came in to have us review the car mechanically just in case. With everything ok we sent him back out for another lap where he was able to get down to a 1:31.6 while running lean due to the fuel pressure regulator boost reference line popping off. He returned to the pits and we discussed everything with Tom. Overall, the alignment held and we got some great feedback to develop the car and see how we should be taking corners to go faster. Though we didn’t achieve the 1:29 we were hoping for, we were able to sort out issues that may have been plaguing the car for the last 3 events and better its preparation for the Speedring. Overall Gridlife South was a success and we hope to see everyone at our next event- The Speedring!